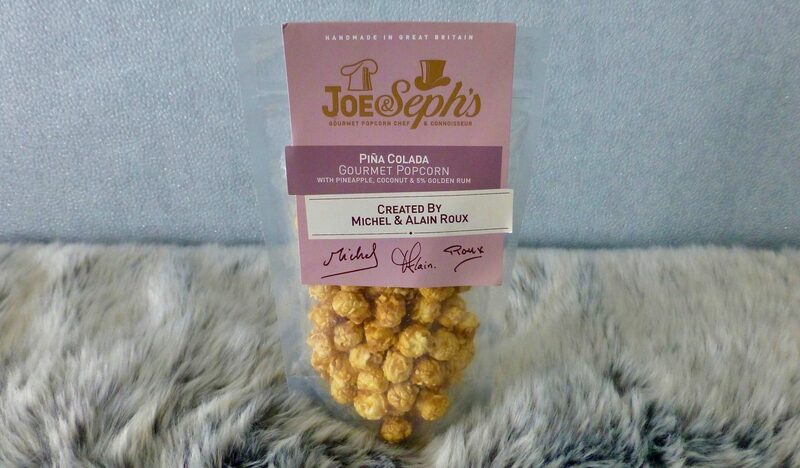 Joe and Seph’s have teamed up with father-son chef duo Michel and Alain Roux to create some new and exclusive popcorn. From Ginger and Lemongrass to Blue Cheese and Rhubarb, today’s review is of their cocktail inspired Joe & Seph’s Pina Colada Popcorn. If you have never been on the Joe and Seph’s web shop then prepare yourself, it is dangerous. From savoury Cheese on Toast to the sweet Banoffee Pie and the tipple of Gin and Tonic, there are SO many flavours that I am dying to try. Joe and Seph’s Pina Colada Popcorn isn’t their first rodeo of cocktail popcorn, I thoroughly enjoyed their Cosmopolitan and I am hoping for similar things here. Suitable for vegetarians and is gluten free, I found this 70g pouch for £2.99 on Ocado. 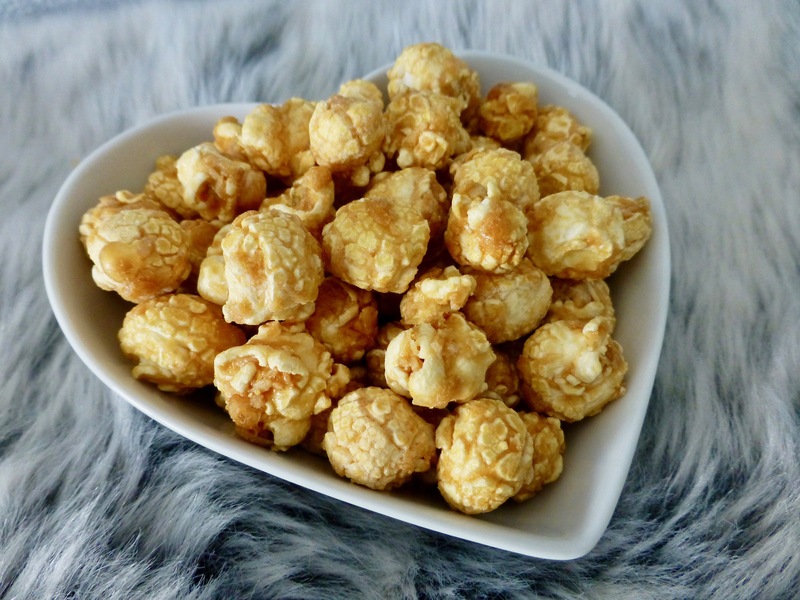 Combining sweet pineapple, creamy coconut and 5% golden rum can this popcorn make you feel like you’re on a sunny beach far away? Opening the sealed pouch let the sweet delicious smell of coconut escape and boy did I just want to face plant it. Every kernel was popped to perfection with a glossy golden coating which gave it the crunch factor. Pineapple and coconut swirled together with the flavour of coconut coming up on top. For those fearing the rum wouldn’t be making an appearance, well it does. There was a little warmth and heat to the popcorn that really brought this full circle and makes you think mmmm pina colada! Joe & Seph’s have absolutely captured the spirit of a Pina Colada. This is by far my favourite of their cocktail varieties and the pouch hasn’t lasted long at all. Which is your favourite Joe & Seph’s flavour? Or what flavour would you like to see them do next?